At BestBadges we have been supplying keyrings for a long time – over a decade in fact! Over the years we have gradually increased the range to meet the demands of our customers, so that now we have 7 different keyring product groups available. Each type has its own benefits and advocates, but the central theme is that keyrings of all sorts remain a great way to spread word or get your name about! 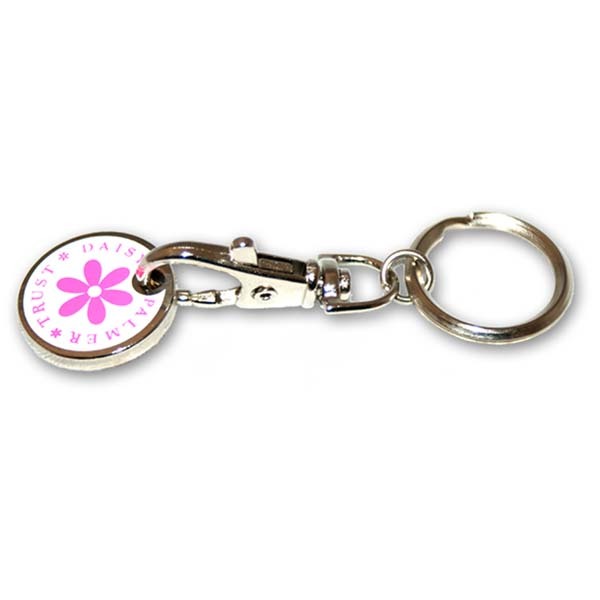 Button keyrings are circular items, with a diameter of 45mm or 58mm. 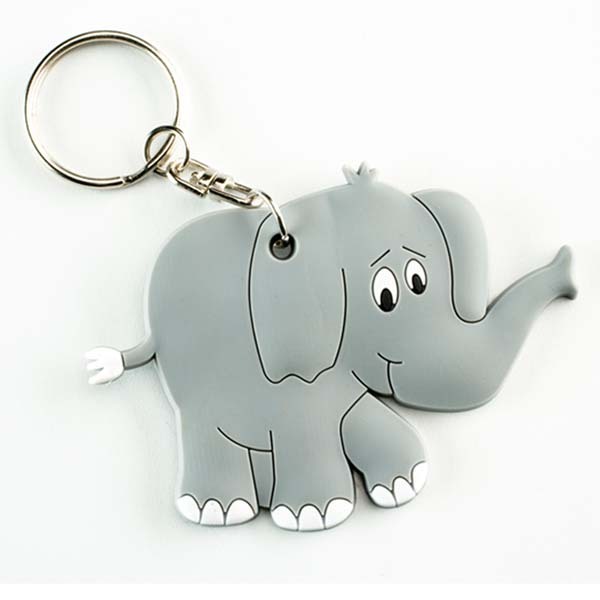 They are hand pressed which means that we can supply any quantity from a single keyring upwards! Button keyrings are the first type of keyring we ever supplied – but they remain popular due to the low price and low minimum order quantities. 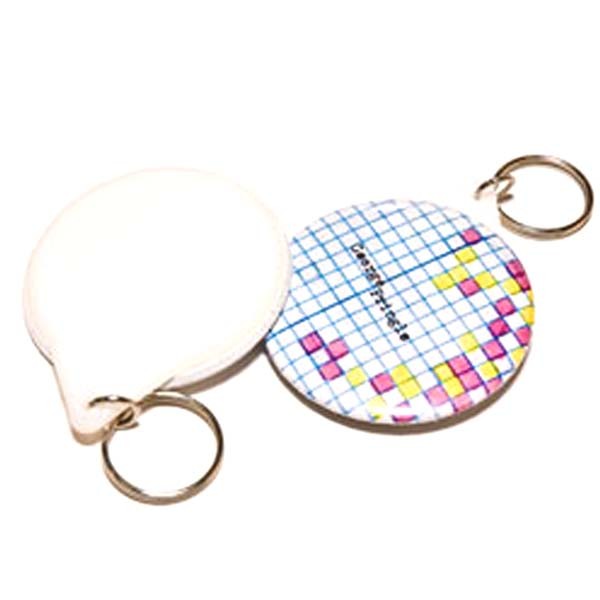 The keyrings can be supplied with an optional mirror-back, or at 58mm size with a bottle opener fitting. Full colour printed and hand pressed, and available in 4 different sizes! 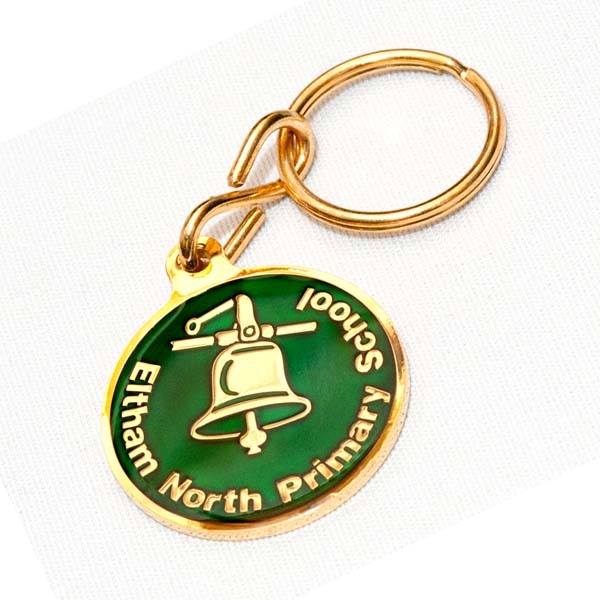 These are the most popular keyring type, with artwork showing on both sides of the keyring. To add a little colour to a metal keyring, coloured enamel can be infilled to the items. This means any logo or design can be presented in rich, pantone matched colours. One of the original promotional items, the trolley coin is still a brilliant way for a brand or message to be spread. Useful at the supermarket too! For brilliantly flexible and tactile keyrings made in multiple levels and 2 or 3 dimensions, soft PVC is the ideal material. Embroider a logo or design in multiple colours, and then add an eyelet and split ring fitting to create an instant keyring! As the silicone wristband becomes ever more popular as a promotional medium, it can now also be supplied in keyring form.